My pleasures are simple, even pedestrian: coffee ice cream, drinking a glass of red wine at the end of the work day, a crisp fall afternoon. One thing I do not love is committing crimes. Crimes, on the other hand, are something that former Trump campaign manager Paul Manafort seems to really enjoy doing. In August, he was found guilty on eight counts of financial crimes which carry a maximum penalty of eighty years in prison. In September, he pled guilty to conspiracy and obstruction charges, for which he is awaiting sentencing. Did you really think he would stop there? No, for he is a man in love. In love with committing crime. Impressively, Manafort has seemingly bungled his own plea deal by allegedly committing another crime. According to Special Counsel Robert Mueller, his plea deal is in jeopardy because of “lying to the Federal Bureau of Investigation and the Special Counsel’s Office on a variety of subject matters.” A variety! Few are as dedicated to their craft as Paul Manafort is dedicated to doing crimes. His is a love unparalleled. 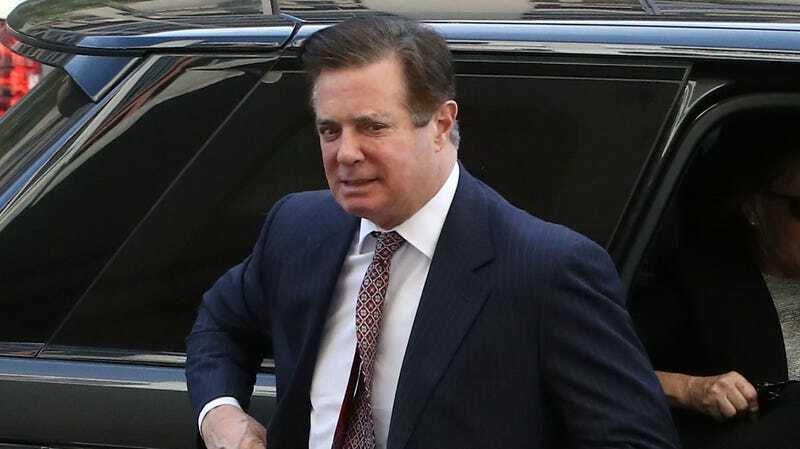 On Friday, the Associated Press reported that federal prosecutors are “mulling new charges” against Manafort, and will detail the new allegations next week. What other crimes has Manafort committed in an act of crime passion? Only time will tell.